Deltran's Battery Tender 10-Bank Shop Charger 021-0134-DL-WH is an advanced SuperSmart Battery Tender® Battery Management System that is light years ahead of any standard battery charger. It's the first fully automatic, constant-current battery charger designed to charge and/ or maintain up to 10 12-volt or 6-volt batteries simultaneously @ 4 amps. Designed for 12v Six-cell and 6v three-cell Flooded/AGM/GEL Lead-Acid Batteries and 12v Four-Cell Lithium Iron Phosphate (LiFePO4) Batteries. 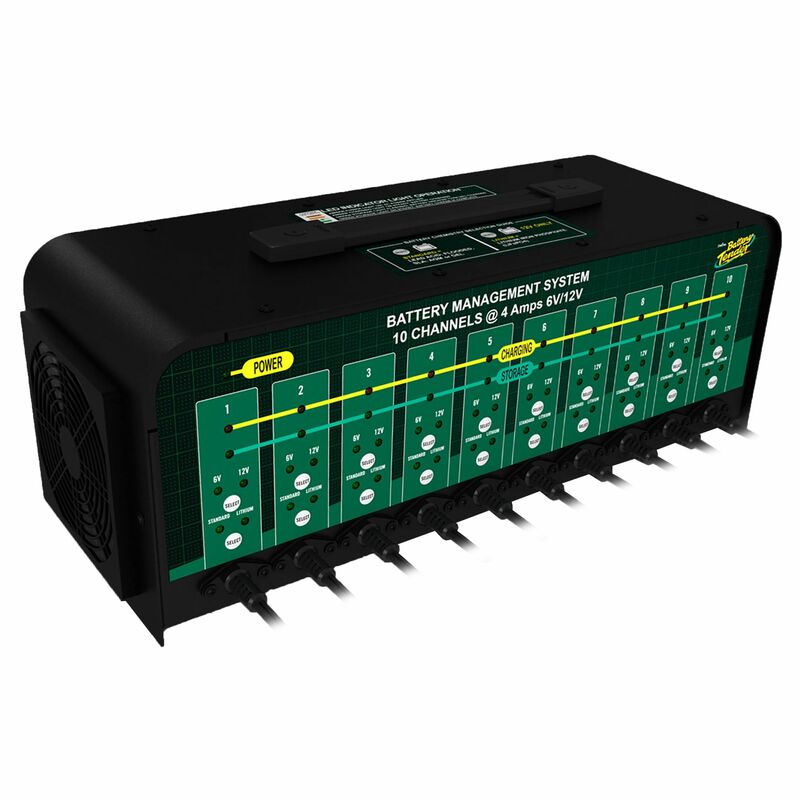 The Battery Tender® charger has a “SELECT” button for each channel which allows you to switch between charging a 12-volt Standard/AGM Lead-acid or 12-volt Lithium Iron Phosphate (LiFePO4) battery or a 6-volt Standard/AGM Lead-acid battery. Note: For Lithium chemistry compatibility, this charger will only charge 12-volt rated Lithium Iron Phosphate (LiFePO4) batteries. Standard setting for 6v & 12v Flooded, AGM or GEL Batteries. Lithium setting for 12v Lithium LifPO4 (4-Cell) Batteries. Do you own the 021-0134-DL-WH? Please, tell us what you think about it. It helps us provide you with better products. Please note that it may take up to 72 hours for your review to appear.